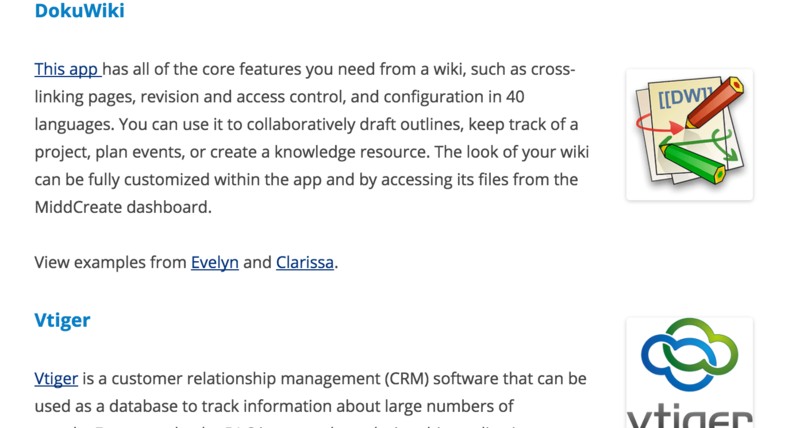 Clarissa and Evelyn explore various applications on MiddCreate, including Docuwiki, vTiger, Collabtiv, Lime Survey, Known, and Omeka. Read the full post here. “Managing your own content means you must also take responsibility for the security of your sites. It’s tempting to procrastinate about web security because let’s be honest, it seems tedious and boring…Being proactive about web safety can help you avoid the unpleasant experience of being hacked, saving you a ton of time and trouble.” Read the full post here. 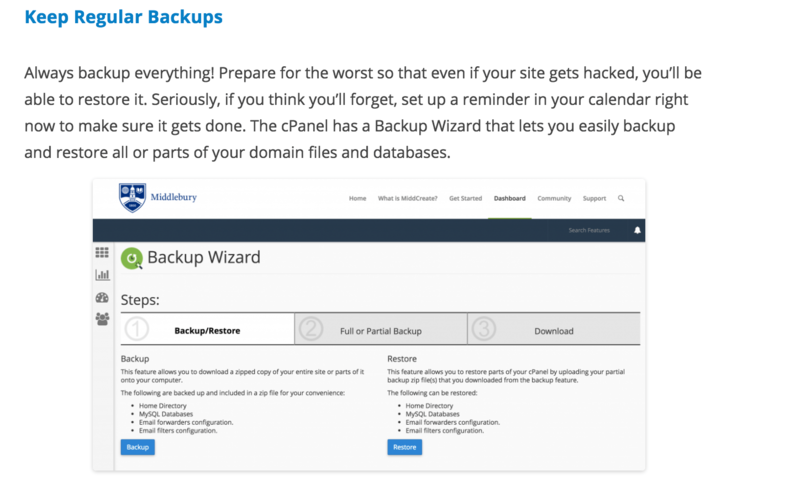 “One of the great things about having your own domain is the power to manage your own files. This means you can endlessly expand the utility of your domain by installing any application that will run on a LAMP (Linux, Apache, MySQL, PHP) server, which is what we use for MiddCreate.” Read the full post here.